Placing a leather sofa next to the window is one of the most elegant solutions offered by modern interior designers – especially if a TV stand is placed next to the opposite wall. This arrangement is great for narrow rectangular living rooms as it helps make them more ‘square’ and proportionate. This is a comfortable arrangement for small living rooms – placing a leather sofa, an ottoman or a set of recliners next to one of the walls leaves the centre of the room open, which helps optimise space, when there is obvious lack of it. Placing a leather sofa or an ottoman in the centre of the room in front of a fireplace or/and a large TV stand is a great idea, however, its only suitable for very spacious living rooms. In this case, the rest of the room stays uncluttered and open, leaving lots of space to move about and enjoy great interior design scheme. Another great way of accommodating leather furniture in the living room is splitting the room into functional zones and placing leather furniture in a recreation area – in front of a TV stand and next to a coffee table. Of course, this idea is only applicable, if a living room is large enough; also, it’s perfect for studio apartments. Leather furniture is easily integrated into almost any interior theme, however, a lot will depend on the type of leather finish. While quilted leather is perfect for a cozy den home, smooth leather will look great in a modern glossy setting; also, note that leather can be dyed into almost any tint to match your colour palette, or visa versa – to create contrast, if that’s what you would prefer. Consider, for example, placing red red leather furniture in the living room to instantly brighten it up, or a white leather sofa next to a black coffee table for contrasting monochrome effect. 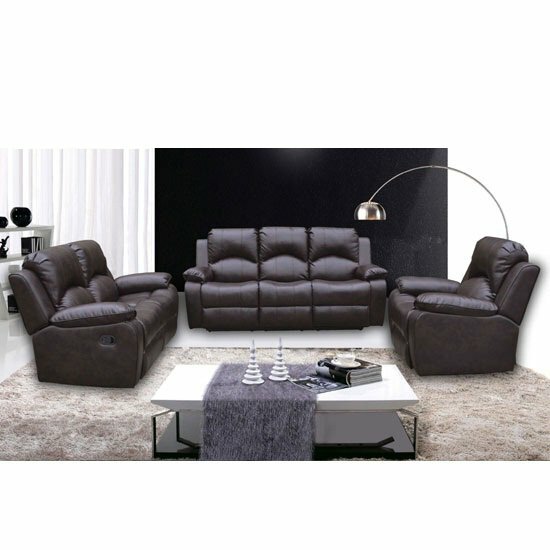 And if you are wondering where to buy leather furniture for your living room, check out Furniture in Fashion . 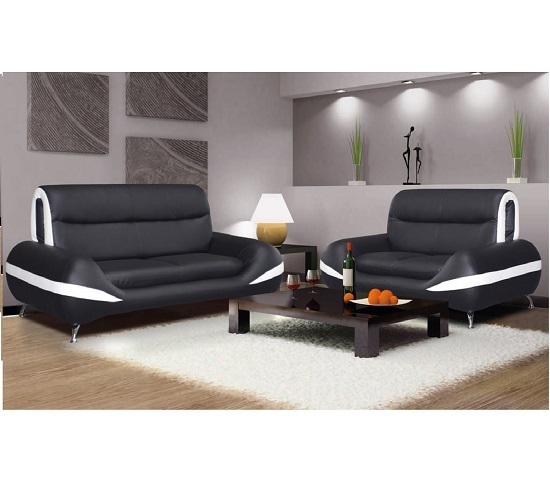 This e-commerce platform with focus on modern furniture will offer you lots of great options to choose from. Most importantly, all the items this store distributes are of the highest quality and come from the worlds most trusted manufacturers, plus, the prices are surprisingly affordable as well. The store invests into its own showroom (Farnworth) and has its own staff of couriers and vehicles, which certainly makes it worthy of your attention.